Reggie “Regg Roc” Gray was born in East New York. His journey with dance began when he was 3. Introduced to reggae music by his family, Reggie took a liking to it. He wanted to learn this dance style, called Dancehall/Brukup. He and his friends went on to form an elite dance group based on this type of dance. The group HYPERACTIVE eventually led to Reggie being a pioneer in developing a new genre of dance – FLEXIN. Reggie has explored his passion further by co-directing FLEXN with Peter Sellers at the Park Avenue Armory in New York City. 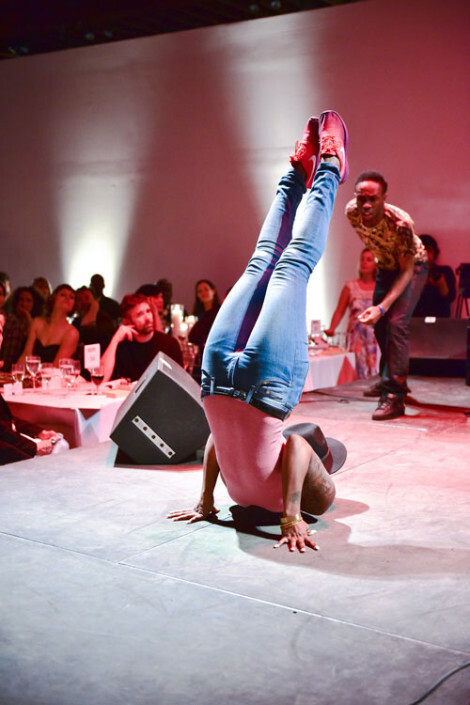 He believes that dancers must realize their role as innovators. In a week-long residency, Regg Rock and guest artists such as Glenn Kotche (Wilco), Jeffrey Zeigler (former cellist of Kronos Quartet), and Andy Akiho (Rome Prize Composer), will be composing, creating and producing a live professional recording so that he can have a fully realized concept. The music and dance are linked and are equal counterparts in this style. 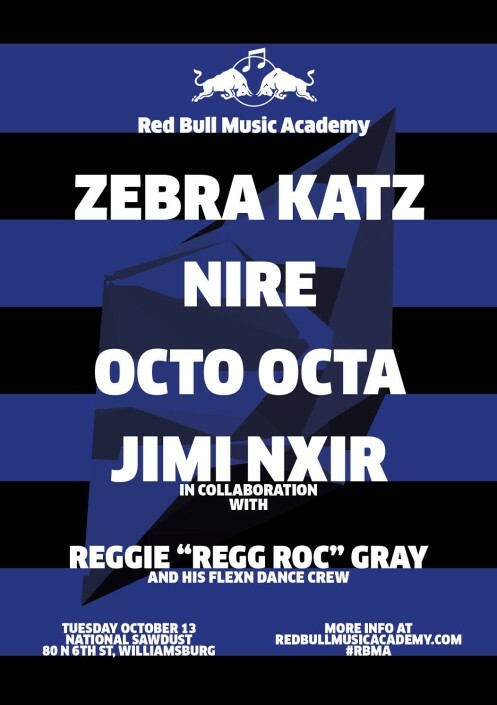 Red Bull Music Academy DJs Nire, Octo Octa, and Jimi Nxir featuring Reggie "Reg Roc" Gray and members of the Flex Community. East New York-born choreographer Reggie “Regg Roc” Gray—pioneer of the flex form and creator, with Peter Sellars, of the acclaimed work Flexn, recently seen at the Park Avenue Armory—collaborates with fellow National Sawdust curator, vocalist, and performance artist Helga Davis (Einstein on the Beach) on a new edition of D.R.E.A.M (Dance Rules Everything Around Me), the dance competition Gray founded. 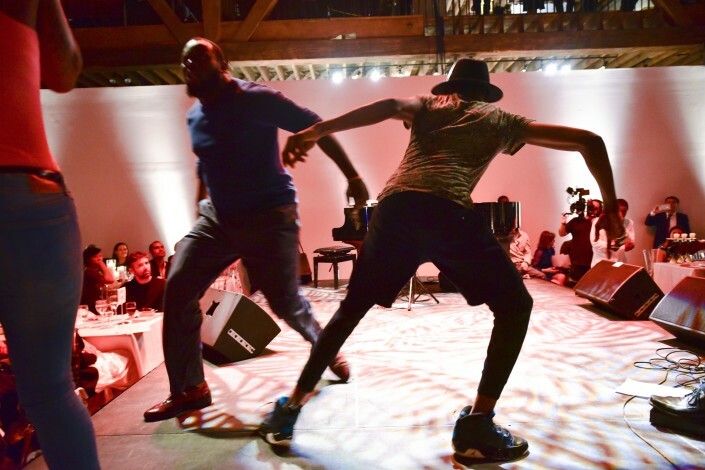 April 9, 2017 - 4:00pm Reggie Roc Gray will be composing, creating, and producing a live professional recording with cellist Jeffrey Zeigler, pianist Andy Akiho, percussionist Glenn Kotche, and other special guests to combine FlexN Dance with original music for the first time.